I bet you guys have seen me spam Instagram and Facebook with photos of the Carousell x Community Meet-up a few weeks back. 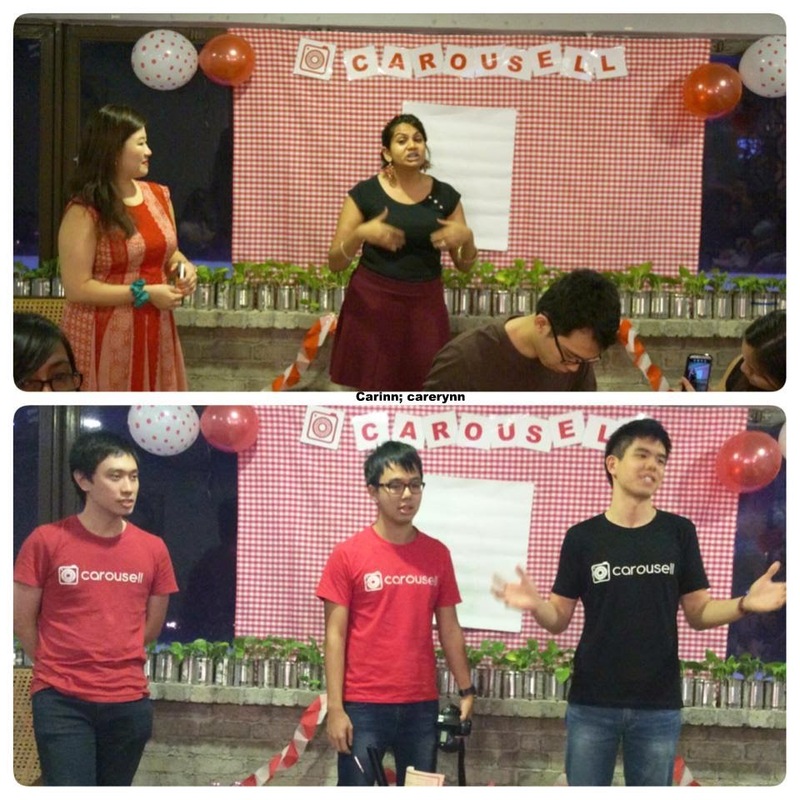 It's the first ever meet-up that Carousell has organised in Malaysia and I'm proud to be part of it! In case you guys didn't know, Carousell is an awesome app for buying and selling based in Singapore. 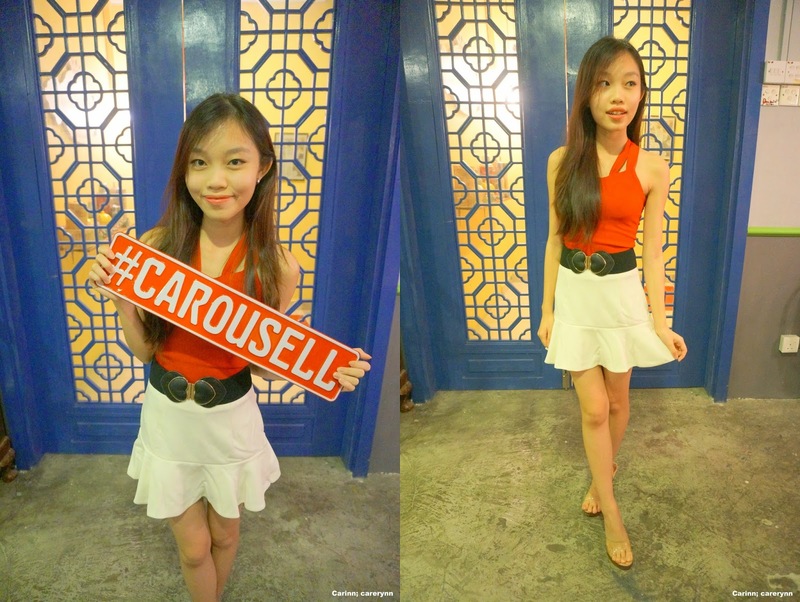 You can read my introductory post about Carousell here and the 3-for-3 giveaway here. 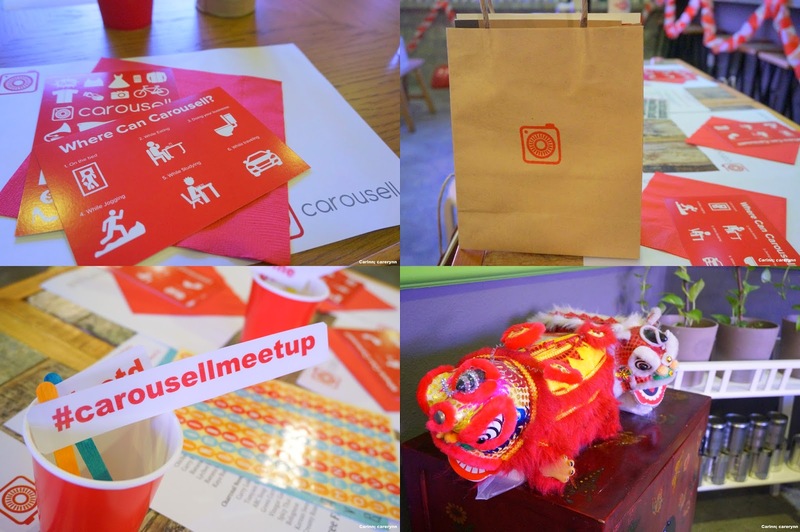 The main objective of the Carousell meetup was to know more about the local power users (meaning, sellers who have loads of listings on their profile) and bloggers. The beautiful set-up of the venue, Little Wonton TTDI was done by Reshma! 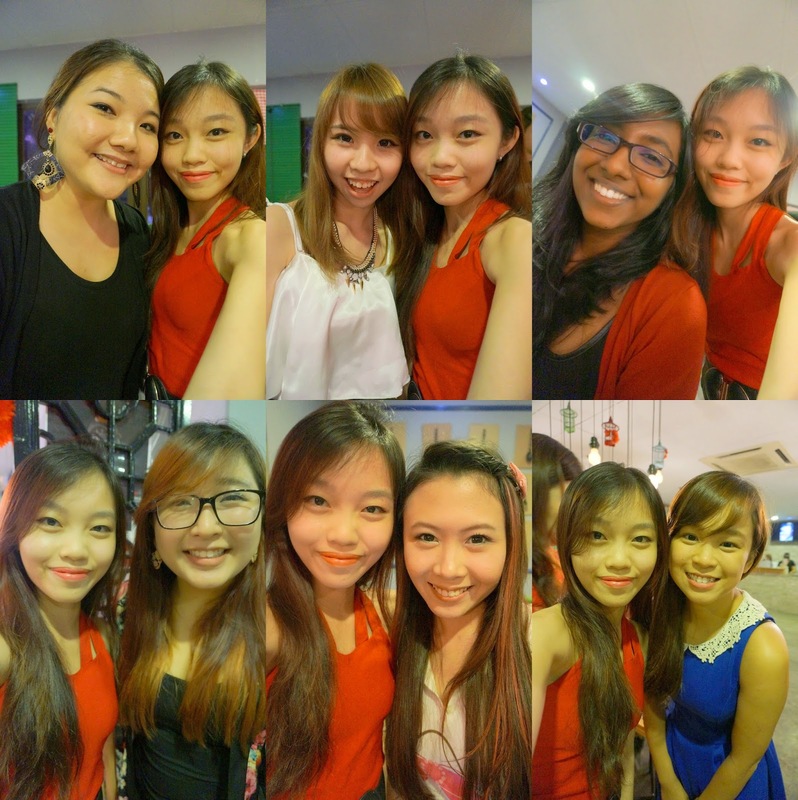 Literally painting the place Carousell RED :) Doesn't it look simply festive and fun? Each guest will receive a goodie bag with postcards, a Muji notebook, Carousell limited edition stickers and some posters in their handmade goodie bag. I personally love the idea that each guest gets to decorate their own notebook using the stickers provided and even take selfies with the little placemats and props on the table. The place is self-service whereby you fill in your order chit and submit it to the counter. The place looks so cosy and nice! Overall, the place gives me a very vintage, Baba-Nyonya kinda appeal, accompanied with fusion food. The place can accomodate a crowd of about 40. The extensive menu. You thought wontons were just dumplings with meat fillings didn't you? Check out the cool flavours that Little Wonton serves! The people at Little Wonton are so nice and they really provide warm and hospitable service. The owner went out of her way to prepare these personalised decorated satay sticks for our food! So cute! I had some food before the crowd came. Each person gets to choose a noodle and two different flavoured wontons of their choice, with unlimited flow of iced lemon tea. I thought I'd be hungry after that but after seeing the portion and the size of the wonton (3 per flavour), I was stuffed! I love that we get to choose our own food instead of eating prepacked food, something different from previous events that I've attended. I ordered Lychee Vinegar Dry Charcoal Noodles which tasted slightly sweet and I loved it! I also ordered chicken, mushroom and cheese wontons and the other flavour um... I kinda forgot. But they all tasted really good and because the wontons are air-fried, they don't feel oily at all. 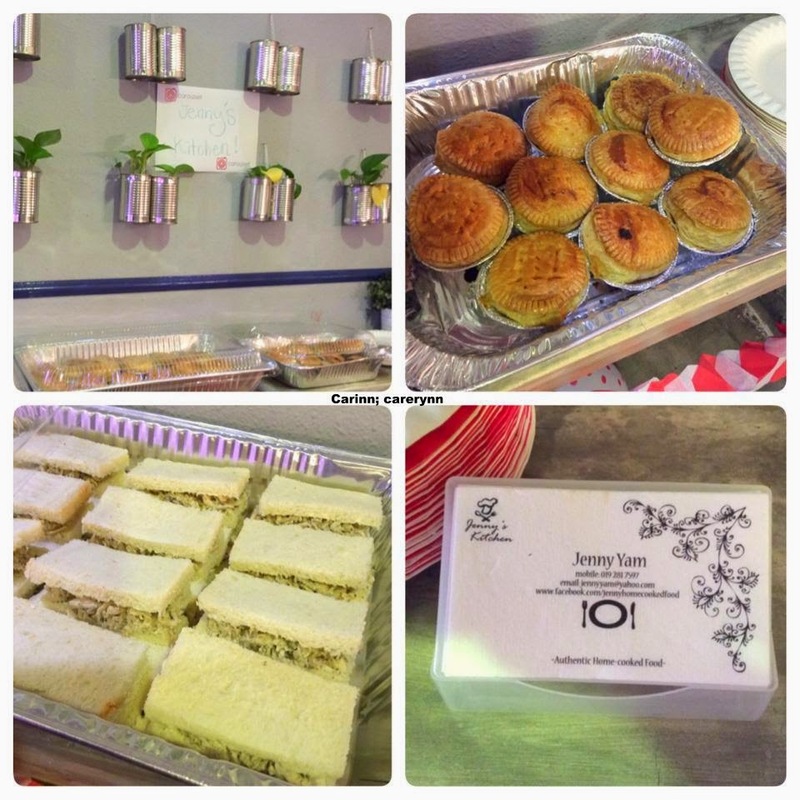 In case anyone got hungry, there were also chicken pie and chicken sandwiches lovingly sponsored by Jenny's Kitchen. Nyum! The founders giving their speech. Basically just a mingling, chilling session where everyone just chats, eats and make friends and if you had any feedbacks or comments regarding the app, the founders will be more than happy to hear you out. After dinner, it was time for everybody's fave activity... Photos-taking!! 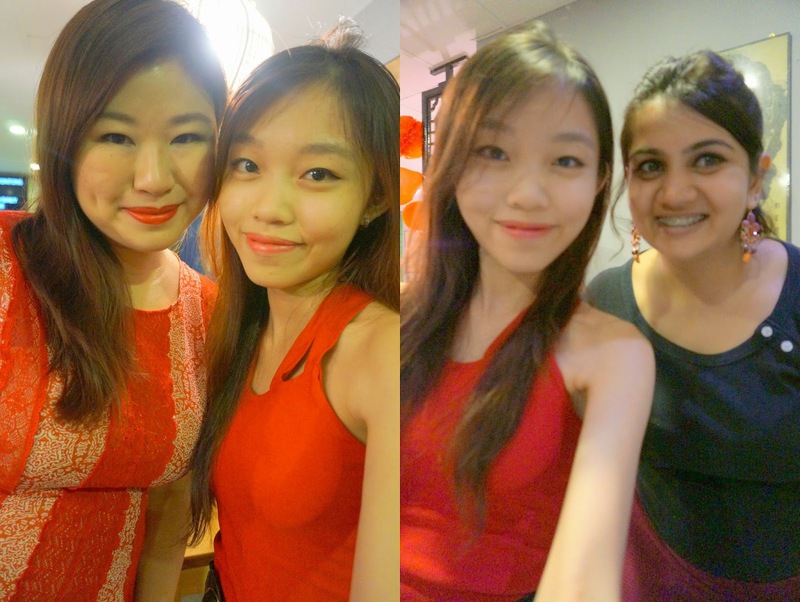 Meet my new friends Lay Teng, May Huay and Grace! 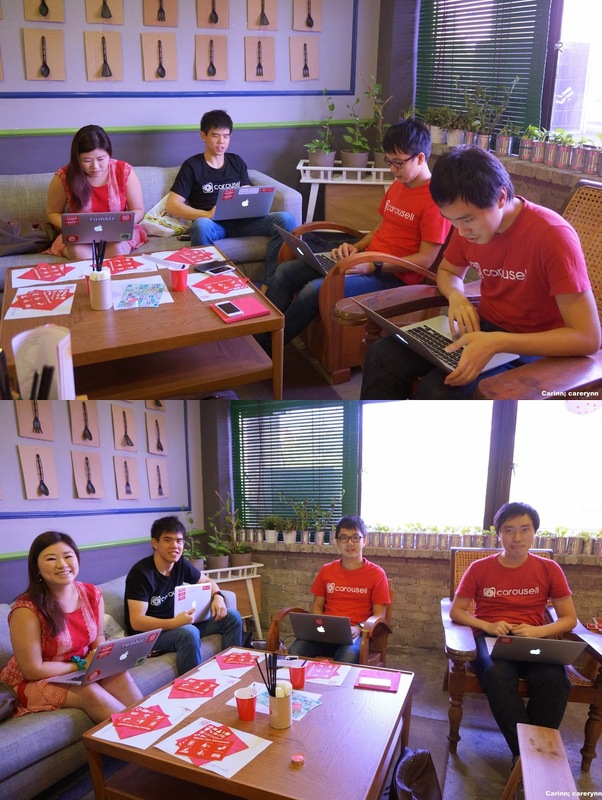 From left: Siu Rui, mua, Marcus and Lucas - the geniuses behind the app. For more photos, you can find it here. Find them on their social media sites. Hi dear! Sure! Actually I think we emailed you but maybe too last min dy.. haha.